5 1/2 inches from his waist and 5 1/2 inches from his hips. 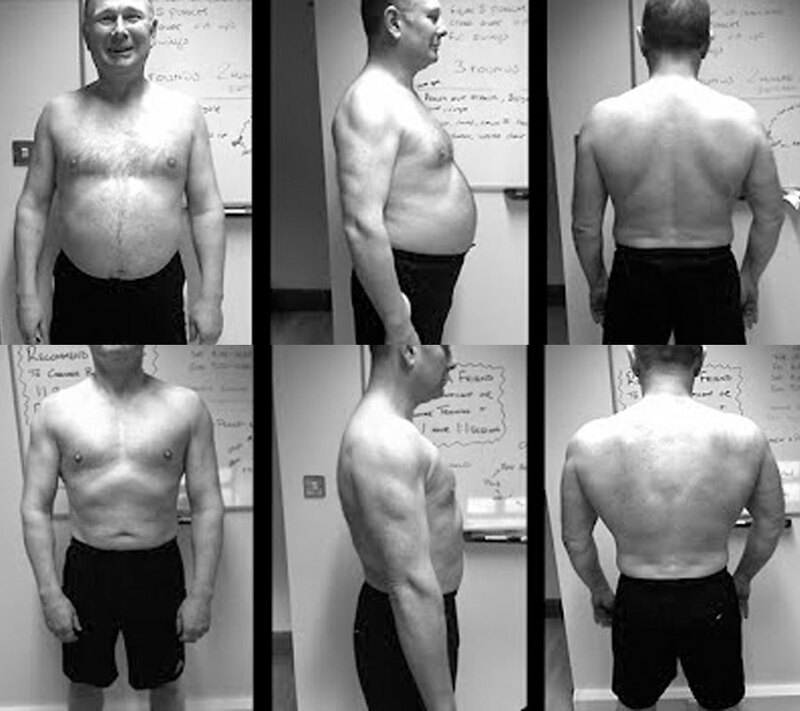 Awesome results from a very determined man. “I’ve been interested in training all my life. But as the old saying goes a little bit of knowledge can be dangerous. I had been round gyms and health clubs for many years and knew the basics but just did not have a clue on diet or how to use weights to achieve the results I was looking for. I trained twice a week 1:1. First Ross informed me about my eating habits and we quickly established that for him to take on the challenge to train a man of 52 who had high expectations I would have to drastically change what I was eating and drinking. I found Ross to be a young man who was driven by attention to detail and had a vast knowledge of fitness and diet. I felt really comfortable from day one and could not wait to get started after having my weight and measurements taken. I am a very driven person and gave my all for 12 weeks. Everything I gave I got back in terms of commitment from Ross. And week by week the weight came off and the body fat came down. My chest and stomach became more defined and importantly my blood pressure came down from 159/95 to 125/70. My resting pulse rate went from 73 to 58 which is remarkable for a man of my age. To say I am a satisfied client is an understatement. I think my results speak for themselves with my determination and Ross’s expertise we found a winning formula and I could not be happier.